Jerome Browne – All About Harlem Basketball!!! | John Reinhard Dizon's "Transplant"!!! In 1926, in Chicago, a 24-year-old businessman named Abe Saperstein formed a small basketball team called the Savoy Big Five. He was just trying to promote a nightclub called the Savoy Ballroom, but in just a few years the team had played over 1000 games around the country and become the Harlem Globetrotters. In 1941, the Globetrotters signed Reece “Goose” Tatum, an all-time great who developed amazing comedy moves and changed the direction of the team. Twenty years after their inception, the Globetrotters had played 3,000 games and were featured on the cover of Life magazine. Those were remarkable achievements at a time when America was deeply segregated by race. The team toured the world, breaking cultural and social barriers along with basketball records. They were the first team to play basketball in Europe. In 1950, Globetrotter Nathaniel “Sweetwater” Clifton became the first African-American player to sign an NBA contract. In 1959, during the Cold War, the Globetrotters went on a sold-out tour of the Soviet Union. The also had an audience with Pope John XXIII and posted their first undefeated season, with an astonishing 441 wins. Throughout their history, the Original Harlem Globetrotters have showcased their iconic talents in 120 countries and territories on six continents, often breaking down cultural and societal barriers while providing fans with their first-ever basketball experience. Proud inductees of the Naismith Memorial Basketball Hall of Fame, the Globetrotters have entertained hundreds of millions of fans—among them popes, kings, queens, and presidents. The line-up has included some of the greatest players ever, including Wilt Chamberlain, Marques Haynes, Curly Neal, and Connie Hawkins, just to name a few, and they have appeared in their own movies and TV shows. The Harlem Globetrotters continue a world famous tradition of ball handling wizardry, basketball artistry, and one-of-a-kind family entertainment that continues to thrill fans of all ages. This entry was posted in Uncategorized and tagged Globetrotters, Harlem Globetrotters, Original Harlem Globetrotters. Bookmark the permalink. 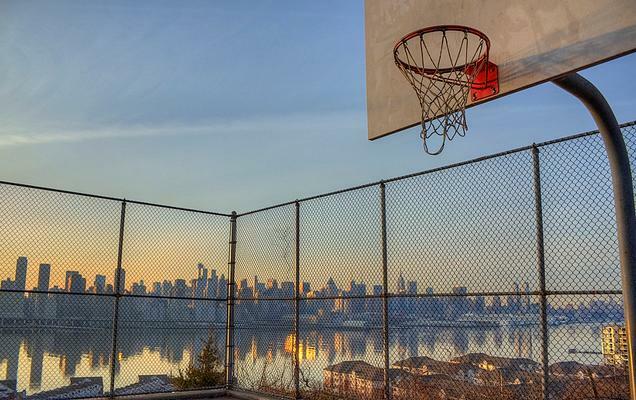 ← Brooklyn Heights – Where Dreams Are Made?